We are here on this earth to be Happy! We had a conference down in Montevideo. It was a very long 12 hour round trip for a 3 hour meeting, but it was so worth it. We had the wonderful opportunity to hear from President Cook and Hermana Cook who is the mission president over the other mission in Uruguay, and then we heard from President and Hermana Smith, and they are just amazing. Hermana Smith spoke in all Spanish which has been a struggle for her. She tripped up a few times but her message was amazing. I just loved her example of not completely knowing Spanish but still giving it 110%. It was awesome. It made me realize that I can do it. I can speak Spanish, I just need her confidence. We then heard from Elder and Hermana Cabrera who are the area seventy here. Long lost buddies found at the conference....Elder D-Ray! It was our pleasure to then hear from Elder Craig C. Christensen from the presidency of the Seventy, and his sweet wife. What a blessing it was to hear from them. Sister Christensen talked about light. She expressed how important it is that we show our light and allow our light to spread. She then talked about the Atonement and how we truly can't have joy without the Atonement. After her sweet message, we heard from Elder Christensen, he is a tall guy! 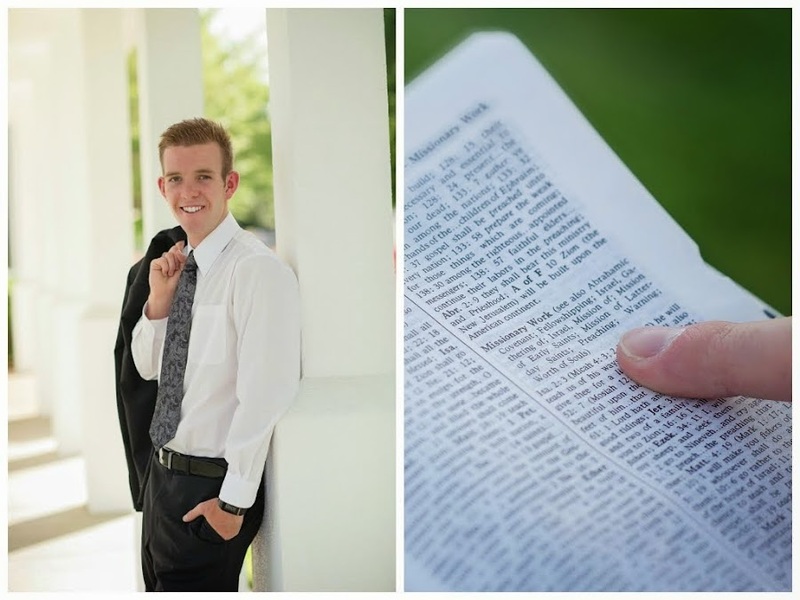 He said something that I absolutely loved....missionary work has to do with the ATTITUDE. I am a very firm believer in that because I truly believe the attitude we have can truly change the situation... any situation. We learned from conference that each and every one of us are examples... we are either examples for the good or for the bad, it is our choice which one we choose. We can either have a positive attitude and choose to be an example for the good, or the contrary. He also mentioned something else that I felt was very profound, we must lose our self in the work in order to find our self. I loved that. It is a bit ironic but so true in any aspect of life. One more thing that he talked about that I really enjoyed was this, he said, "A child is someone who doesn't know a thing but they know that they don't a thing. A teenager is someone who thinks they know it all but they know nothing; and an adult is someone who doesn't know much but they know where to find the answers." We need to be adults in the mission. I really liked that even if I am just a teenager still. Ü We also have some changes in the mission as of this past week.... we now wake up at 7 and go to bed at 11. Also, we can't play soccer in the mission anymore! Crazy huh? Onto the real situation though.. How are you guys all doing? I feel so helpless here. After reading mom's email... I couldn't help but just let the tears stream. Oh grammy, what a sweetheart. Bless her little heart. I hope you know that I love you all so much. I hope that you can feel my love this week, but more importantly the love of a loving Heavenly Father who truly knows us individually. Also the love of our older brother, Jesus Christ. He knows how each one of us really feel because he has felt it all before. I am so grateful for the knowledge of the gospel.... the knowledge of the Plan of Salvation. My heart is with you guys this week. I am just sitting here thinking of what I could say... the truth is I don't know what to say. I have so many thoughts running through my mind that I honestly don't know what I could share with you guys. I only would like to bear my testimony that I know no matter what happens, everything will be okay. I know without a doubt in my mind that we have a Heavenly Father who has a plan for us.... his plan is perfect. Through this plan, we can feel happiness and sadness. At times we feel sad but there is a reason that this plan is called the Plan of Happiness. We are here on this earth to be happy... to become like our Savior, Jesus Christ. I am just grateful for my wonderful and loving grandparents, for all four of them. They have done so much for me and been such an example to me. My heart just aches because I just know how you all must feel. I love you all so much and hope that you give our grandparents my love. Give Grandpa and Grandma Abel my love when you see them next, and give my cute Grandpa and Grandma Taylor my love. I love you all and I miss you like crazy. Keep smiling and have a wonderful week! 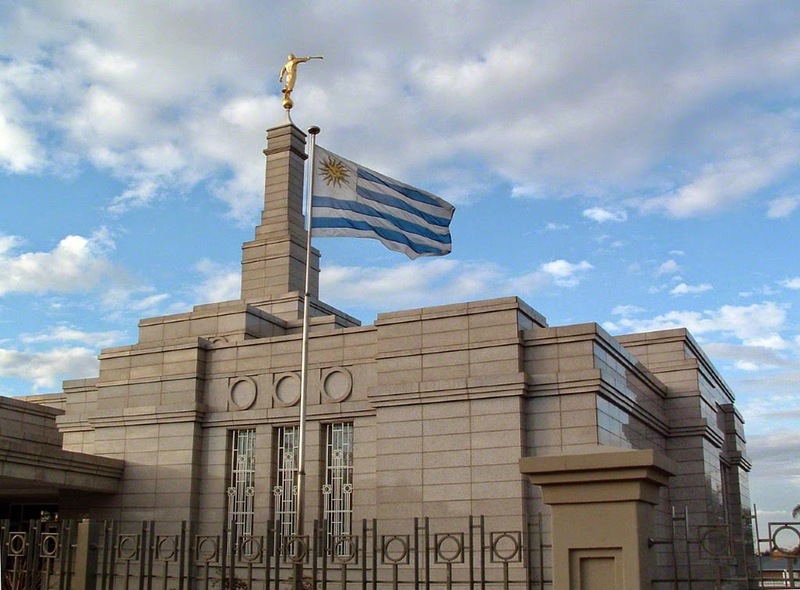 A Happy Elder from Uruguay! Yo.. This is a story all about how my life got flipped turn upside down and I would like to take a minute.. just sit right there and I´ll tell you how I become the prince of Obelisco Ü (in the tune of Fresh Prince) haha! How is everything with you guys? Things have been a little better here in Salto. We finally escaped the heat so that has been good. We have been having some rain and some clouds which has cooled it down a lot actually. The members tell us we will have storms until Tuesday so that will be good. Not too excited for the heat again and definitely not excited for December and January because it only gets hotter from here... fun right? Things have been a lot better in the house with the four of us this past week, and we have began to work together. The thing that is really good about Obelisco is that we don't share the ward with Hermanas. It is just us four Elders. We've had a really tough week here in Salto. We walked a ton but I am fine because it means I can have more sweets.... especially because I received my package finally! It was super hot at the beginning of the week and it wore on us as it was the first hot week that we have had. However, the rain came. The weather is basically super bi-polar here. The heat is just like in STG but with humidity, and when it rains.... it rains! One more bad thing this week and then Vamos Arriba for the rest of the letter. We had an investigator pass away from cancer on Thursday. It was pretty sad. Alright.. Esta listo? (Are you ready?) Positive from here on out! I have a positive thing for each negative thing that I just shared. For the heat.... I sweat like a mad man... I am losing the fat in my face that I have put on since being here! For the rain.... I get to style my hair differently every few minutes! For the weather being bi-polar.... it brings variety and things never get old here, always something new! For the investigator that passed away.... we went to the hospital when we heard that she only had a few hours to live and we greeted all the family there. Elder Studebaker and I gave her a blessing. It was a very humble blessing from Stude (Stew-D). We left and within about 10 minutes after we left, she passed away. Stude was confused. He didn't feel like she was going to pass away. He thought that all was going to be well, and even in the blessing he said that all will be well and that she will be a mother again. As he doubted his thoughts, I told him, "Elder, all is well with her now. Her body is out of pain and she is a mother again. She can watch over her kids now." (Before she couldn't because she was really sick). 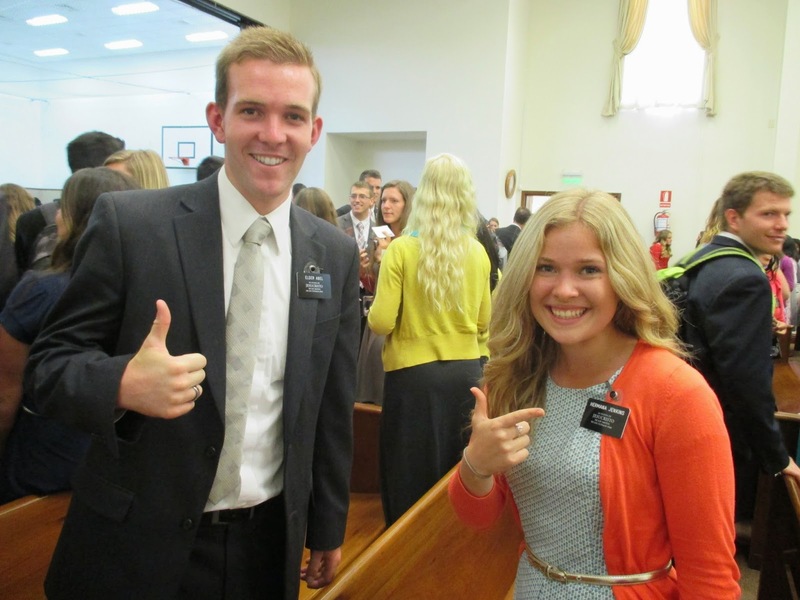 The missionaries first started teaching her and her daughter before she got sick. It was a really good experience to be part of the blessing and calm the thoughts of Studebaker. The next day we had the chance to go to the funeral, but we missed it because the bus system here needs help. However, I saw my first cemetery here in Uruguay and they are crazy! Really old and sketchy. They aren't like the normal cemeteries we have in the states. They are like buildings. It was the perfect funeral day though...Halloween, rainy and creepy cemetery. Other than the weather and the funeral though... we actually had some success this week! We challenged all four of our investigators after their first lesson, to be baptized on November 29th. What a blessing!! Hopefully they all keep progressing and continue on to enter the waters of baptism! I love you all sooooo much! I hope that you all have an amazing week! Keep smiling and enjoying the journey of everyday! 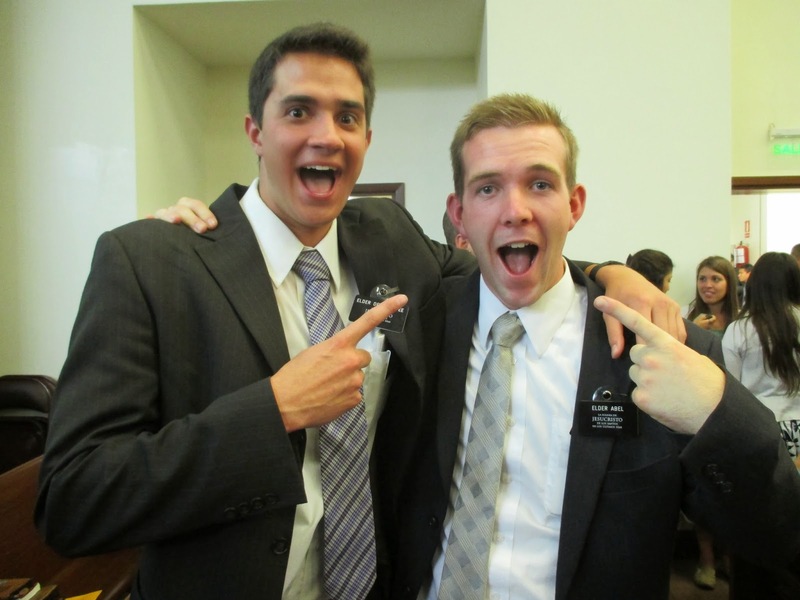 Your happy Elder all the way in Uruguay!